Hakeem’s Visal Dambulla project no more than leaky plumbing? Residents of the area are facing severe inconvenience due to the water leakage of the main pipelines of the Visal Dambulla water supply project. 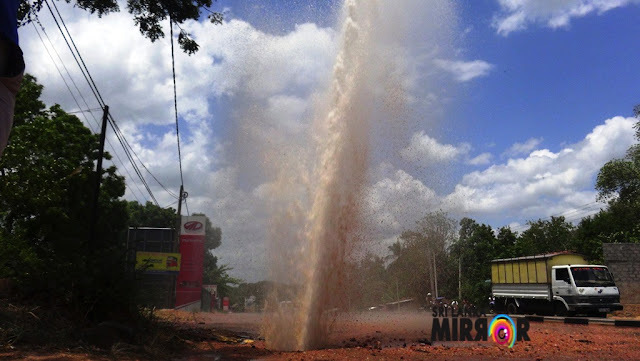 Even last 27th there were leakages in several areas and water was being wasted, while due to a severe water seepage at the Jalasha junction on the main Kurunegala, Dambulla main road, water fountain of around 30 feet was reported obstructing movement on the main road for around an hour. 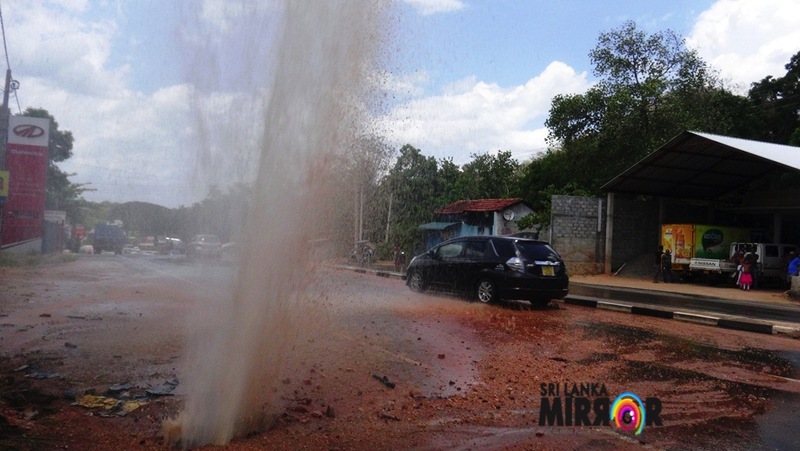 Several vehicles were also damaged as large stones were being propelled into the air due to the massive water fountain created by the leakage. While the Visal Dambulla water project was ceremonially commissioned in April by the City Planning and Water Supply Minister Rauf Hakeem, to date residents have not received a single drop of water under this Dambulla water scheme, the residents said. They allege that renovations are being carried out on a daily basis, costing colossal amounts of public money and water being wasted. Although Sri Lanka Mirror attempted to contact the main Engineer of this project Saman Piyaratne on several occasions, our attempts failed. 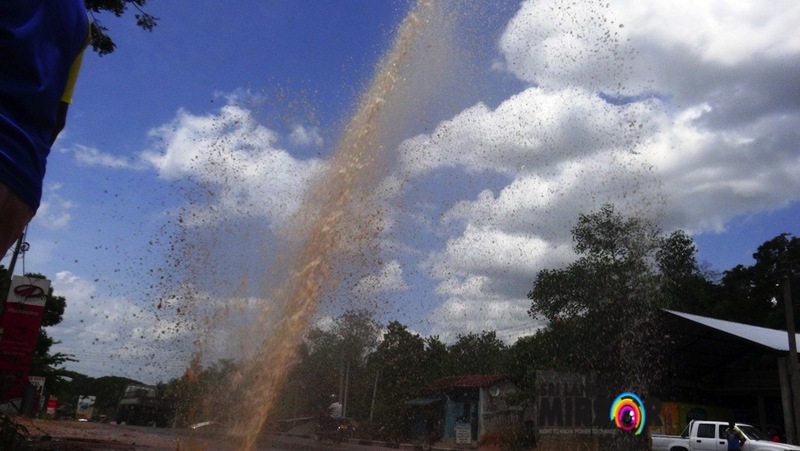 This project was initiated to provide drinking water to the residents of Dambulla, Matale and Anuradhapura districts. The area covered by this project is 1,600 sq. km. of 5 Divisional Secretariat Divisions. It was earlier revealed that this project would benefit 174,000 residents while the daily water supply through this project would be around 30,000 cubic metres. The purpose of this project was to distribute water from seven water purification plants, through two water towers, pumped along 72 km of transmission pipelines and distributed along 220 km of pipelines. The project cost was Rs. 10,000 million ($ 77.8 million). The investment for this project is borne by the Sri Lankan Government, Indian Exim Bank and People’s Bank. The water purification capacity of this project is 30,000 cubic metres in the first stage while the water is obtained from the Ibbankatuwa reservoir.